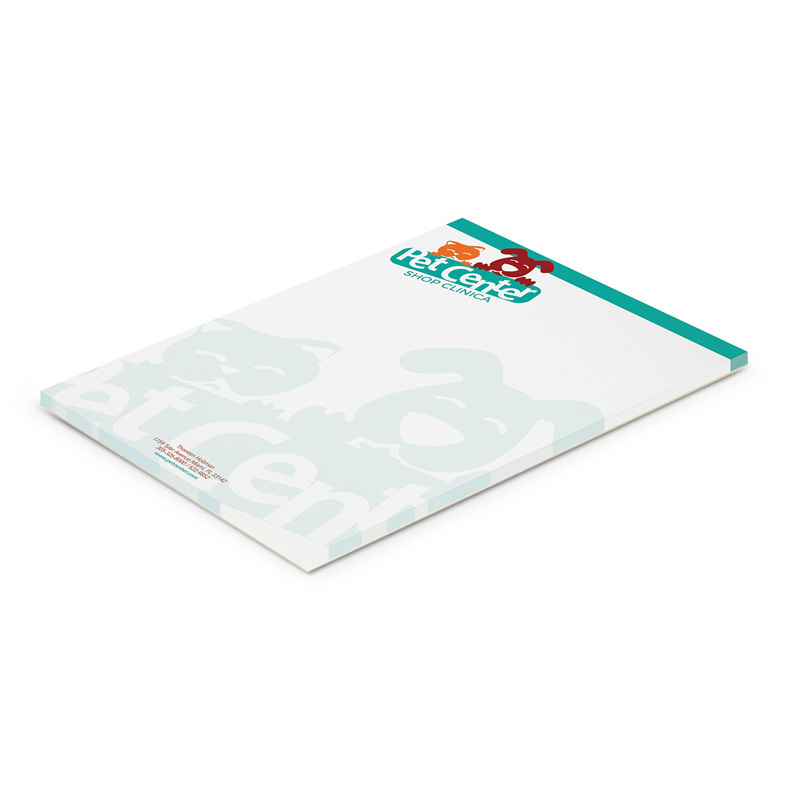 Medium size note pad with 50 leaves (100 pages) of good quality 70gsm paper and a cardboard back. It is printed using four colour process which gives the option of unlimited spot colours or stunning full colour at no extra cost but PMS colour matches are only approximate. The artwork can bleed off on all four sides and lines or a sketching grid can be added if required. A production lead time of 10 working days applies to this product. 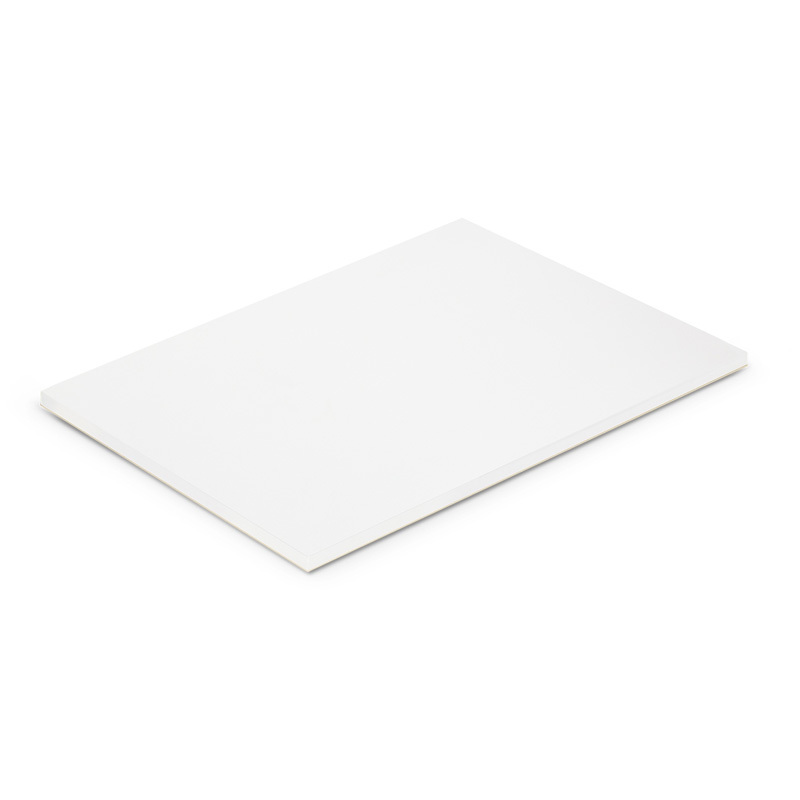 Offset Print: 148mm x 210mm.